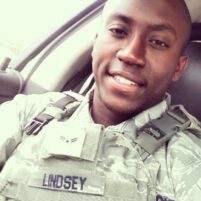 A former member of the United States Air Force was charged Wednesday with two counts of involuntary manslaughter stemming from a traffic collision last summer near Vandenberg Air Force Base that left two people dead and one seriously injured. On Aug. 28, 2016, Shaquille Lindsey, 23, was driving 15 miles over the speed limit on Santa Lucia Canyon Road. He allegedly veered into oncoming traffic and collided head on into the victim’s vehicle, causing the death of the driver and his wife, and seriously injuring the driver’s adult son. The indictment alleges two counts of involuntary manslaughter while driving under the combined influence of both alcohol and marijuana, and while using his cellphone. The third count alleges driving under the influence and causing bodily injury. Lindsey is expected to make his initial court appearance in early July. If convicted of the three offenses charged in the indictment, Lindsey would face a statutory maximum sentence of 18 years in federal prison. The investigation of this case was conducted by the United States Air Force, Office of Special Investigations. The case is being prosecuted by Assistant United States Attorneys Joanna Curtis and Julian André.